You know a weird thing I think about whenever I see a group of celebrities congregate to one general event, party, or major celebration? What they’re all drinking. Because, you know, I’m a curious being who also likes to drink and it’s fun to see if my favorite celebs have the same general taste as I do. But there are other times, when it’s a themed event, that my curiosity spikes even more. 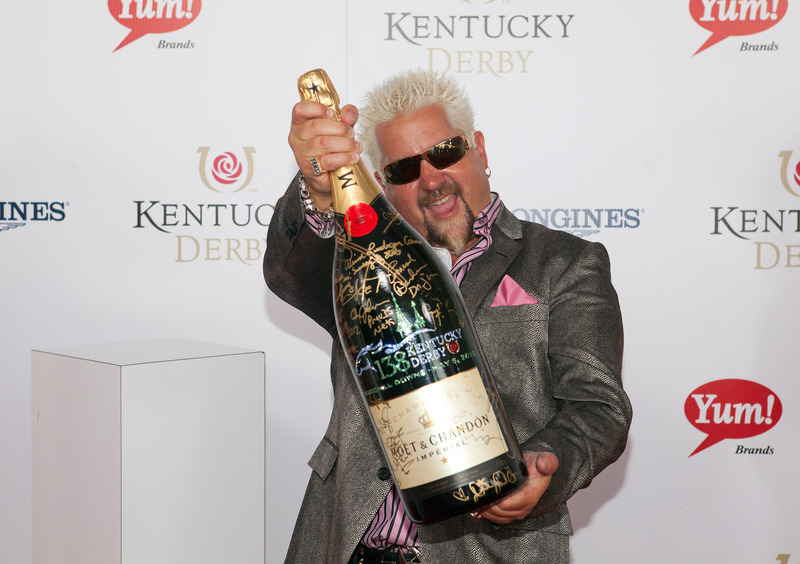 For instance, what do celebrities drink at the Kentucky Derby? Because this legendary event doesn’t only have a dress code, but seemingly a drink code, too. Now, I am sure that some stars partake in the tried and true beer and wine drinking. Though, probably not openly. I mean, if there is such thing as a drinking faux pas it's drinking beer at a Kentucky Derby party. I’m only kidding (sort of). It’s just that the particular drinks listed below stand out amongst the rest for this occasion. I mean, why wouldn't they? They're all super delicious, and certain ones are as fancy as the outfits of the celebrity attendees. It's all very appropriate. Here are what celebs typically drink at the Kentucky Derby, so you can work these beverages into your own Derby party this Saturday. I'm assuming at some point, someone opened that. I'm guessing it was Guy Fieri. And, yes, when it comes to champagne for celebs on Derby day an expensive brand is the way to go. You don't need to be famous to drink one of these, either. And you can make your own right at home! For those celebrities with a much stronger stomach (and palate) than I. Personally, this would be my drink of choice, as well. So, if you're watching the derby from home, you can have one of these drinks and pretend that you're rubbing shoulders with the likes of Ice T and Coco.